The saiga is a diminutive critter about the size of a small goat with distinctive horns and a highly unusual face. It has a nose like no other; long, inflatable nostrils that appear to be a sort of double-trunk. This nose serves a very important purpose. 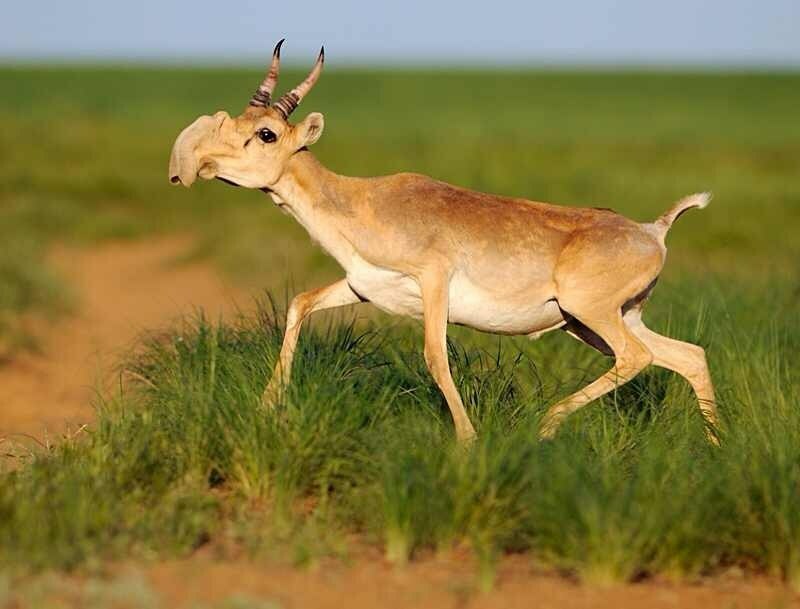 It filters out the dust which always seems to blow about in its western Mongolian native habitat, and when temperatures drop to below zero, the spacious nose pre-warms the air before it reaches the saiga’s lungs. It is an herbivore and eats plants; lichens, sagebrush, grasses and bushes. They are ruminants, which means that they bring partially digested plant matter back up into their mouths to chew it again. This is called “chewing their cud” and it helps them get as many nutrients and energy as possible out of the plant matter that they eat. While the saiga are hunted by wolves, foxes and birds of prey, like the Golden Eagle, the biggest threat to the saiga is humans and the global warming that is caused by human activity. Hopefully, saiga populations will be able to bounce back. 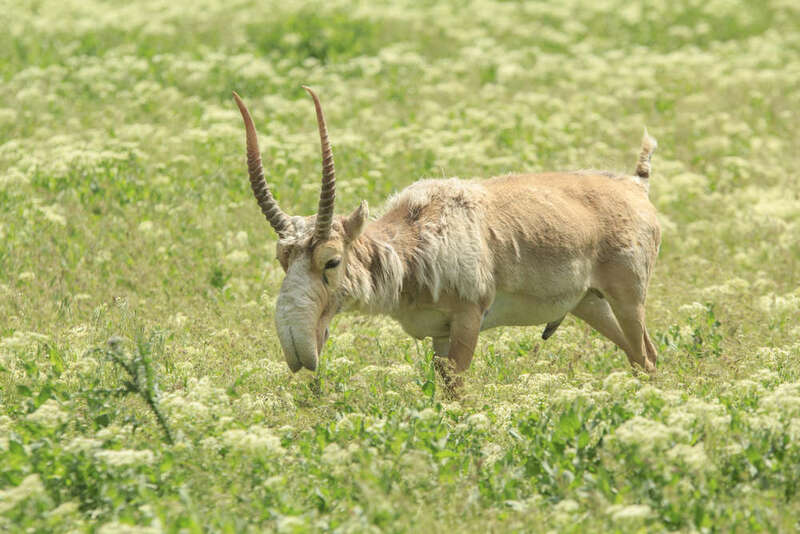 These animals can reproduce from a young age and a mother saiga often gives birth to twins. They are ancient critters that roamed across the earth during the Pleistocene or Ice Age period. The saiga survived while the wooly mammoth and saber-tooted tiger died out. We hope this little wonder will be around for generations to come. It is indeed an ancient treasure of the earth.